Meteorites consists of iron and should not be exposed to water, perfume or loitions, or they may rust. Take any meteorite jewellery off before swimming, showering or exercising. Silver tarnishes over time due to natural reactions to chemicals in the air, and our bodies. You can polish it with a jewellery cloth, or use a silver dip. If a dip is used, make sure you rinse thoroughly and and immediately dry the meteorite. Apply a thin coat of oil to the meteorite to prevent rust after drying. Is your bracelet too big? Here’s how to resize it yourself. 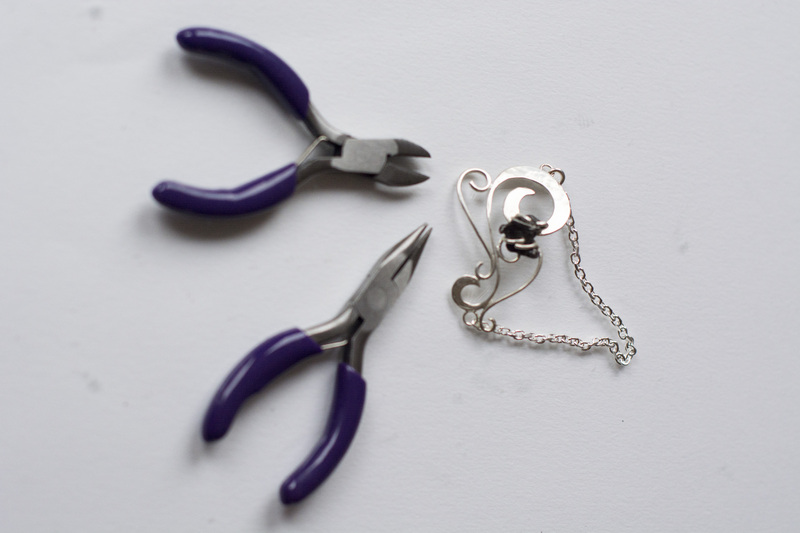 Find a pair of pliers, either flat or needle nose pliers, and cutters. The jump ring on the lock can be opened. 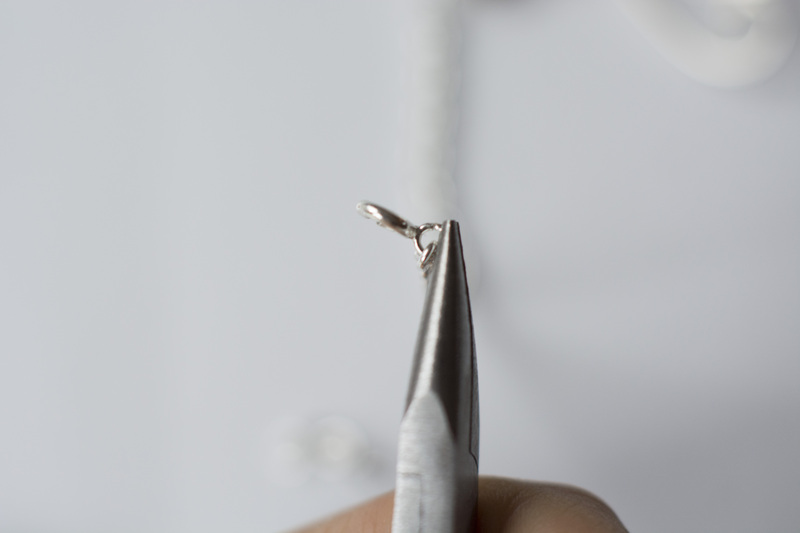 This is a safety measure, and is present in all bracelets and necklaces. If your bracelets gets caught on something, it’s important that the bracelet breaks before the wrist does. 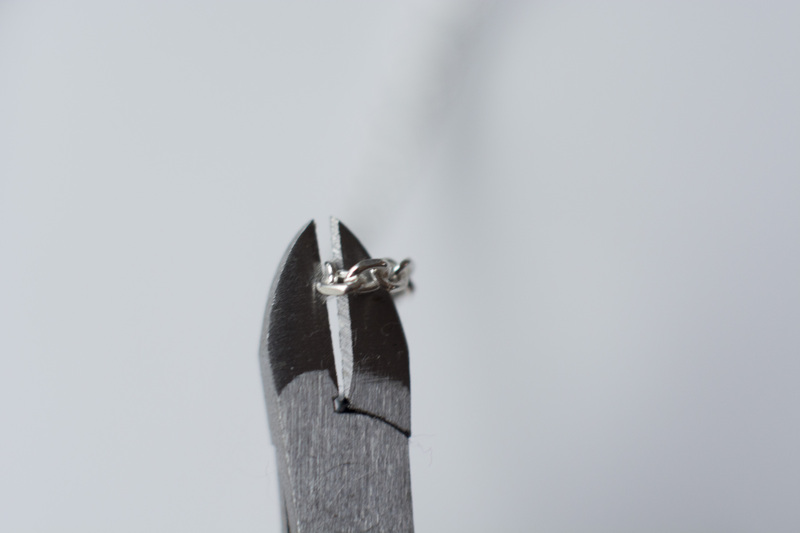 Use your pliers to open it. Move it to the side, not straight outwards. This makes sure the ring keeps its round shape, and does not warp when you reclose it. Measure how much shorter you need it, but remember that the lock will be put back on. 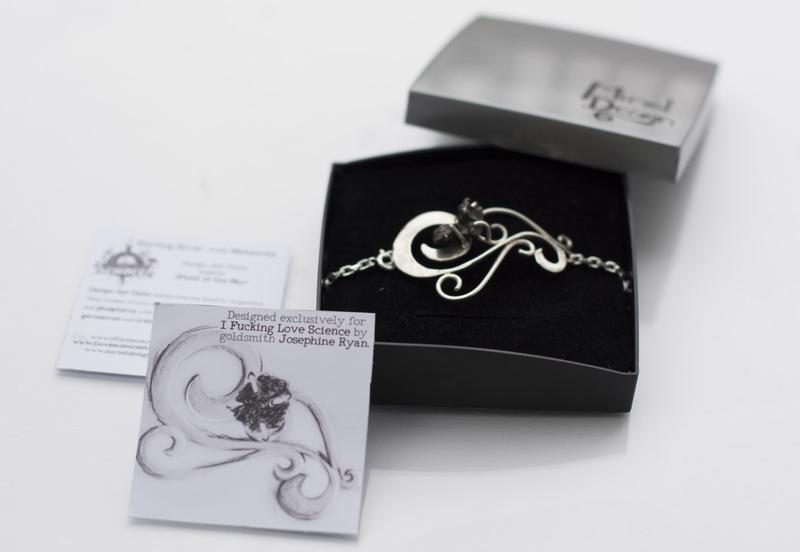 It should fit snuggly, and not spin around so the pendant part falls underneath your wrist when you wear it. Cut one link in two carefully, without damading the links next to it. 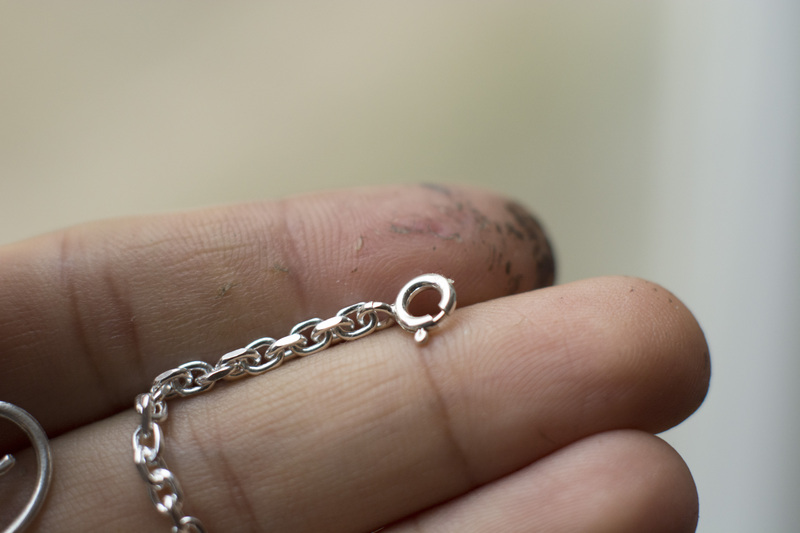 You can keep the little pieces, they are sterling silver so don’t throw them away. 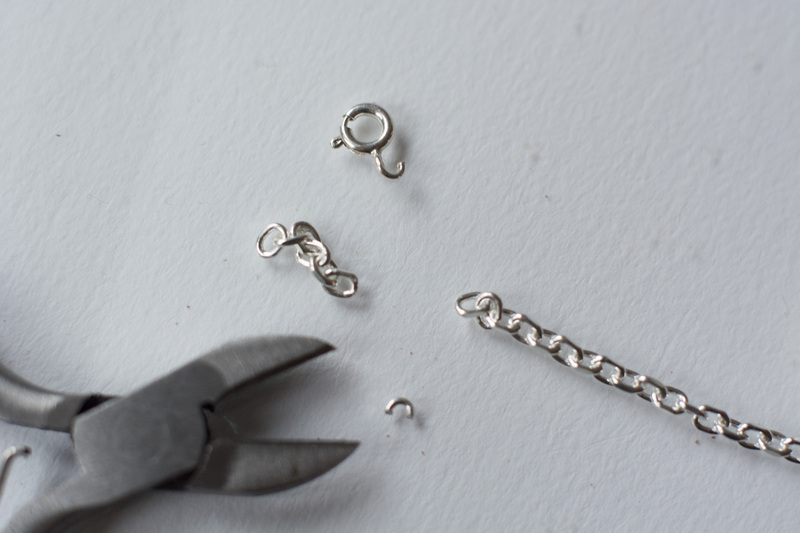 Re-attach the lock by sliding one link onto the ring, and closing it. It should be closed tightly. Don’t pull hard on the baracelet, or bend it. 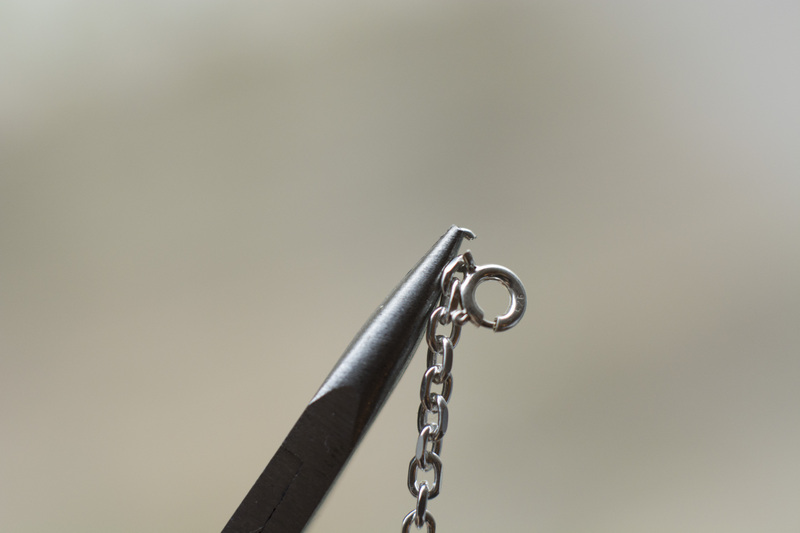 Pulling can cause it to open and the chain falling off. If this happens it’s easy to fix, just follow the same instructions as above, but without cutting. 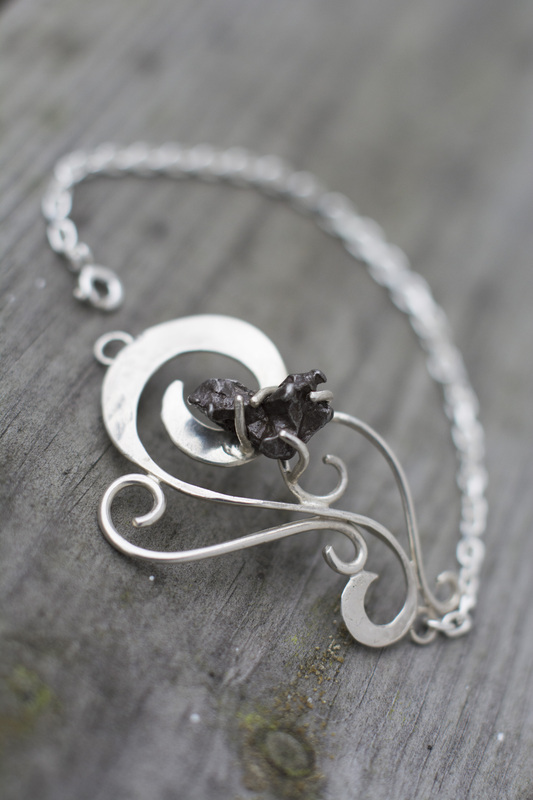 Bending the bracelet can cause the setting to distort and the meteorite to loosen. These can be bought at http://www.ilovesciencestore.com.